When a home audio system is capable enough to make a world-class musician think differently about sound, it’s a special kind of validation. Such was the case with the SVS Ultra speakers and SB13-Ultra subwoofer and Bernie Dresel, a legendary drummer and musician who’s starred with the Grammy-Award winning Brian Setzer Orchestra, Gordon Goodwin's Big Phat Band and now The BBB Featuring Bernie Dresel. He’s also played with the likes of B.B. King, Frank Sinatra, Gene Simmons, Stevie Wonder and countless others and was named “Best Big Band Drummer” in a Modern Drummer magazine reader’s poll. 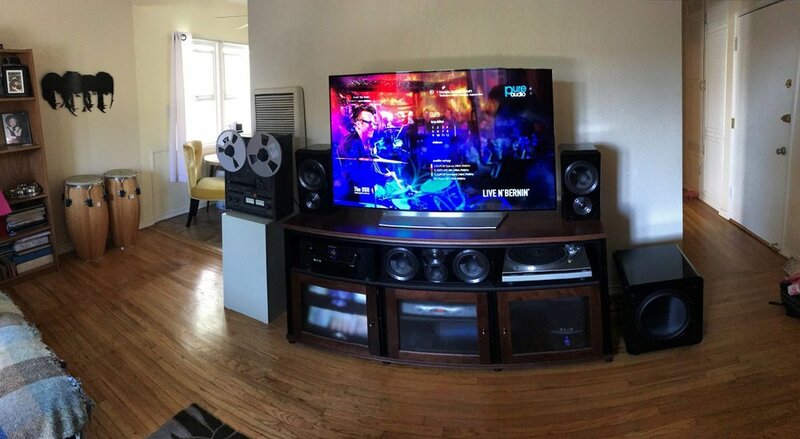 After deciding his existing home audio system was no longer cutting it, he did what anyone looking for new audio equipment would do, he asked for personal recommendations and started researching online, all of which led him to SVS. But Bernie Dresel is not your typical big band drummer. He a classically trained musician whose credits go far beyond the world of music. He’s also performed on movie soundtracks for such blockbusters as: Jurassic Park, American Sniper, Mission Impossible, Pearl Harbor, The Hulk, Star Trek Generations, The Bourne Supremacy and countless more. He’s even earned credits on TV shows like The Simpsons, Family Guy and Murder She Wrote, and that’s just scratching the surface. Needless to say, Dresel has a trained ear and understands the way sound should be recreated to emphasize a sense of convincing realism and impact. After a recommendation from Widescreen Review editor Gary Reber and some research on the SVS site and elsewhere, Dresel took SVS for a test listen and never looked back. Now, he has a newfound appreciation for subwoofer bass, center channel speakers and immersive height effects that we discuss in the interview below.